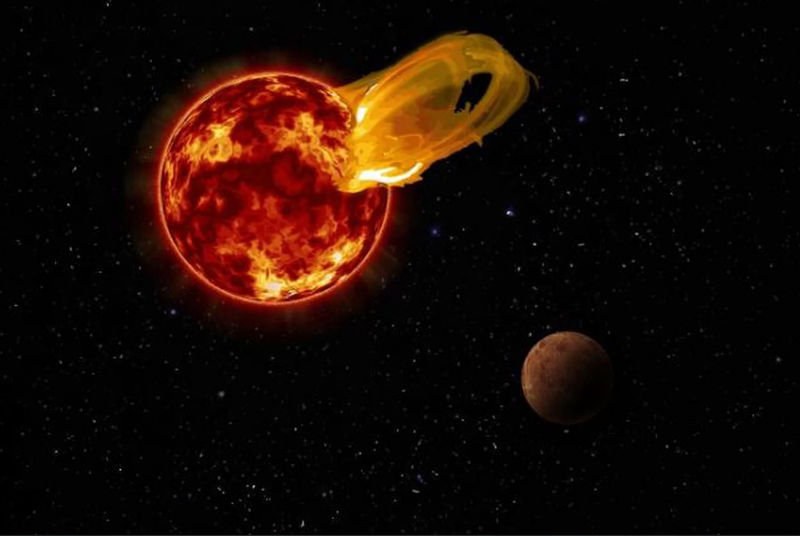 An artist’s illustration of a flare from Proxima Centauri, modeled after the loops of glowing, hot gas seen in the largest solar flares. The planet Proxima b, seen here in an artist’s impression, orbits Proxima Centauri 20 times closer than Earth orbits the sun. 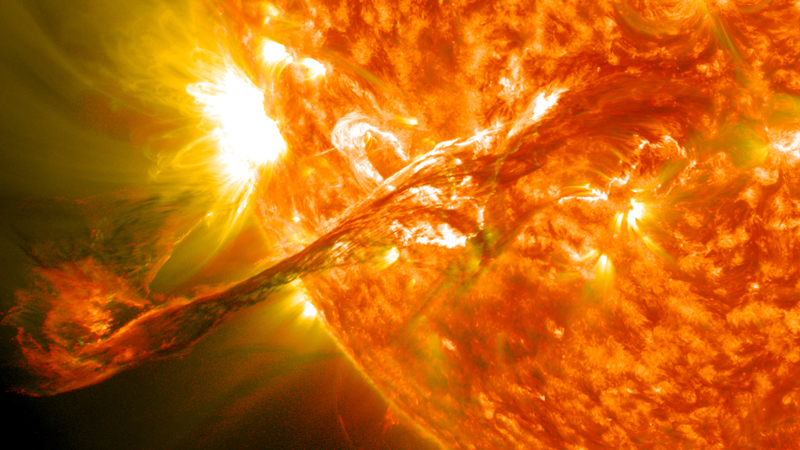 A flare 10 times larger than a major solar flare would blast Proxima b with 4,000 times more radiation than Earth gets from solar flares. Meredith Wallace stood outside the lander and stared up at its magnificence visible only because of her helmet’s shielded visor. The gigantic loops of glowing hot plasma from Proxima Centauri were large enough to be seen from 4.6 million miles away because they were twenty times as large as solar flares from Earth’s sun. No one had predicted such a massive build up of magnetic energy within this star. The cluster of sunspots, the flare’s eruption site, was just north of the sun’s equator and positioned almost directly at the planet. The electromagnetic radiation wasn’t visible to the unaided eye, but for Meredith, the coronal mass ejections were like an astonishing Phoenix rising from its ashes, climbing far into the space between star and this world only to follow relentless magnetic forces back down like a brilliantly flaming Icarus.